In July, I had the privilege of being a participant in the Etchings Festival, which took place in Southern France, in the beautiful village of Auvillar. Of course, I ended up adding two weeks of travel time on to explore other new places in France and Spain. I flew into Paris, spent one night, and then took the overnight train to Barcelona, Spain, which was a completely new city for me (overnight train travel on the cheapest seat possible – not recommended (but actually, I’ve got another overnight train trip coming up, maybe I’ll never learn)). I went to all the architectural sites and museums that I could possibly fit into four days, then it was time to hit the tracks again… Back to France, to the Pyrenees. 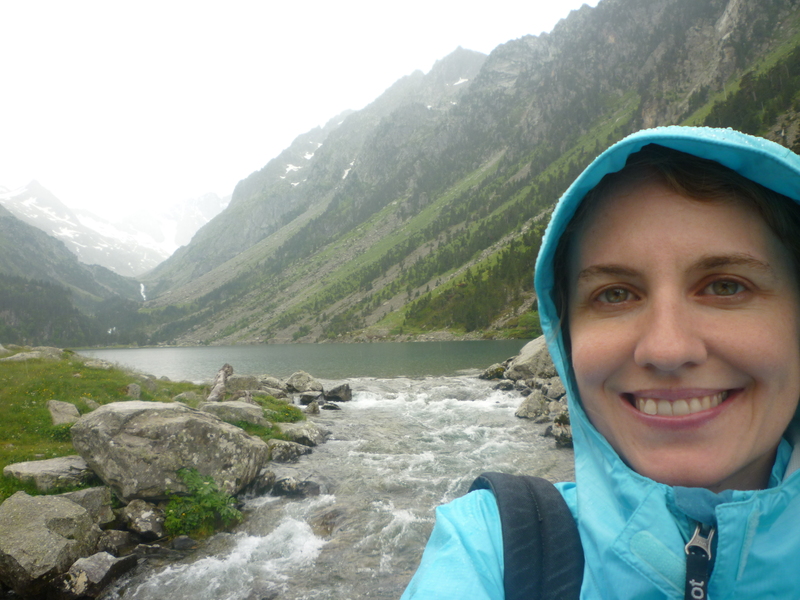 In the Pyrenees, I stayed in a great little town called Cauterets, which was the base for my mountain explorations. I hiked. About 25 miles in three days (but who’s counting, I survived, my feet survived, no ours or chiens des montagnes were encountered) on the GR-10 and other trails around the vicinity of the Parc National des Pyrenees. It was amazing, and honestly, I didn’t really want to leave. It was also incredibly inspiring, and my forthcoming set of guitar and viola pieces will be inspired by some of my hikes (and Miro). Okay, so the Etchings festival itself was pretty incredible. I met a lot of fabulous people, and the performers were excellent. 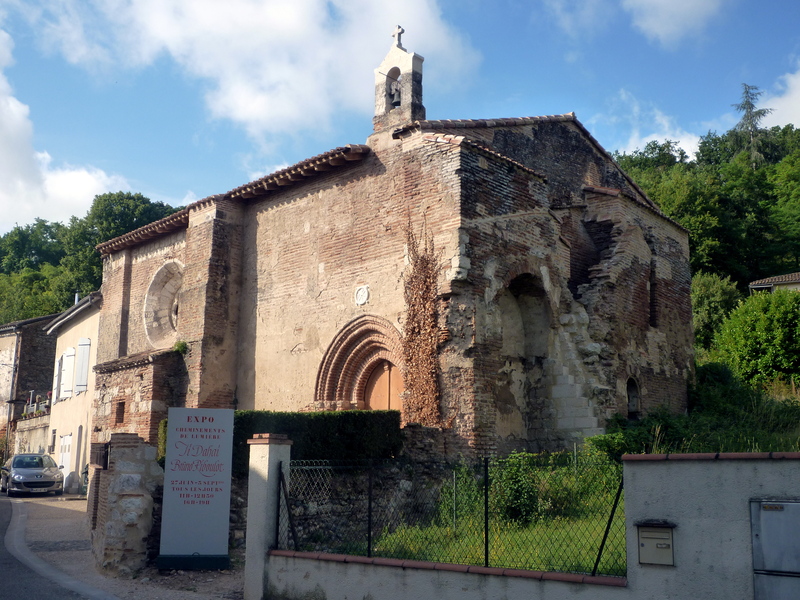 My latest acoustic piece, Luminous Flux, for alto sax, bassoon, violin, viola, and cello was rehearsed and then premiered by members of the East Coast Chamber Ensemble at this 13th century chapel in the town of Auvillar, France. 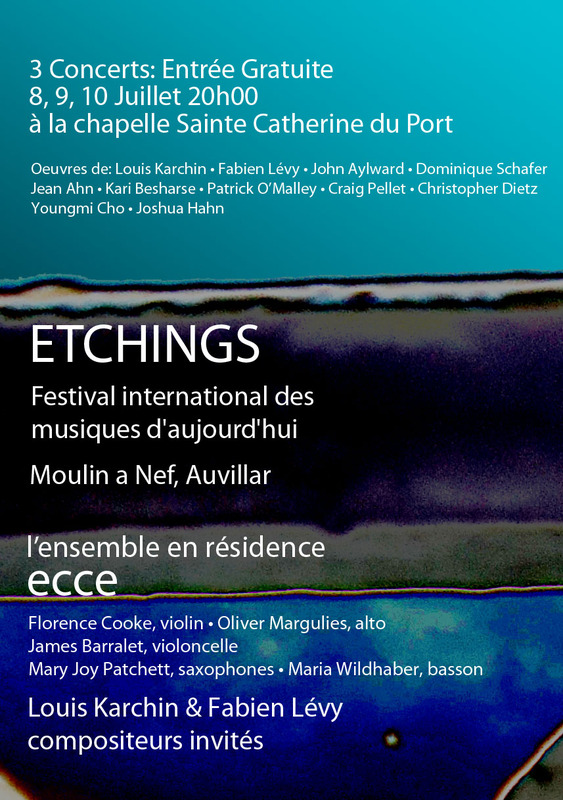 The guest composers were Fabien Levy and Louis Karchin, who both had some extremely refreshing insight into my music. My wonderful performers were Florence Cooke, violin; Oliver Margulies, viola; James Barralet, cello; Mary Joy Pratchett, alto sax; and Maria Wildhaber, bassoon. A special thanks goes to John Aylward for conducting the rehearsals and performances. The participant composers were great, too. We had a lot of adventures (some countryside hikes), drank a lot of wine, and ate a lot of cheese. 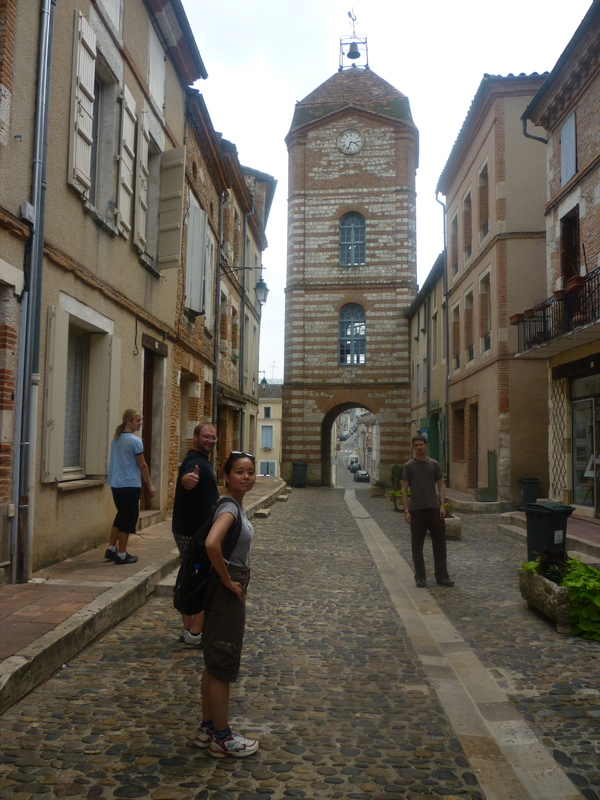 The clock tower in the center of Auvillar, avec Aaron Bresley, Brian Padavic, Mu-Xuan Lin, and Craig Pellet, mes nouveaux amis. Categories: Acoustic Music, France | Permalink. You are right! I forgot that our concert was at a 13th century chapel!